Passwords are lame, but they're currently the best way we have to secure online accounts. There's plenty of advice out there about how to make passwords more secure like not reusing them across sites, choosing longer passwords, using special characters, and so on. Of course, that makes passwords more annoying. 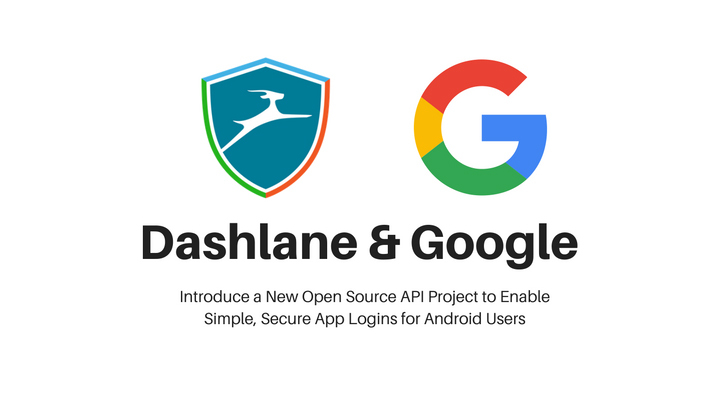 Now, Dashlane and Google have teamed up to create a new password management API called Open YOLO—that's You Only Login Once, not the other YOLO. The intention is to make passwords easier and faster. As the name implies, Open YOLO will be an open source project. It will provide a way for the apps on your phone to instantly and securely access your login credentials without any janky auto-fill input or copying/pasting. It's reminiscent of Google Smart Lock passwords, but it's not meant as a replacement. Smart Lock is really cool when apps support it, but if you don't have a login saved in Google, you have to type it in anyway. Open YOLO provides a way for apps to access other password managers on the device in the same way. Dashlane will be the first to support Open YOLO, but other leading password managers are apparently actively involved in the project or at least very interested in it. Open YOLO will be used first on Android, but it will eventually expand to other platforms. We expect more information on how developers can make use of the new API when Google gets around to releasing details. We'll update when that happens.